Cuisinart 12-Cup Coffeemaker Just $55.91! Down From $185! PLUS FREE Shipping! You are here: Home / Great Deals / Amazon Deals / Cuisinart 12-Cup Coffeemaker Just $55.91! Down From $185! PLUS FREE Shipping! This is something you shouldn’t miss! Amazon is currently offering this Cuisinart 12-Cup Coffeemaker for just $55.91 down from $185 PLUS FREE shipping! This coffeemaker dispenses one cup at a time with an easy to use actuator. It holds up to 12 cups of coffee in the double-wall coffee reservoir. The easy to read coffee gauge lets you know how many cups of coffee are left, and the included charcoal water filter keeps your coffee tasting great. 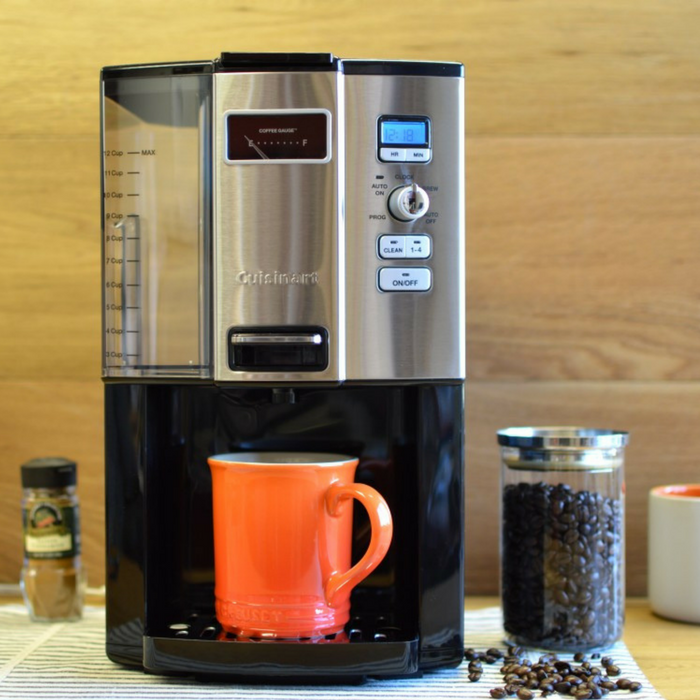 The DCC-3000 makes coffee easy– its fully programmable with 24-hour advance brew start, programmable auto shutoff, self-clean, and a 1-4 cup setting to brew smaller amounts that still taste delicious.